“Mark, a resident of Scope’s Birchwood care home in Chesham, has Cerebral Palsy. 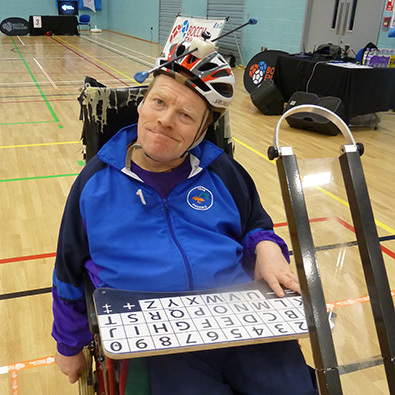 Hugely determined and big-hearted, Mark is an accomplished artist, fundraiser and Boccia player. In the early days Mark used a length of drainpipe to guide his Boccia balls during play. Since his interest and skills in the sport have developed, he now uses one of DEMAND’s range of purpose designed ramps, which gives him much greater control and precision.